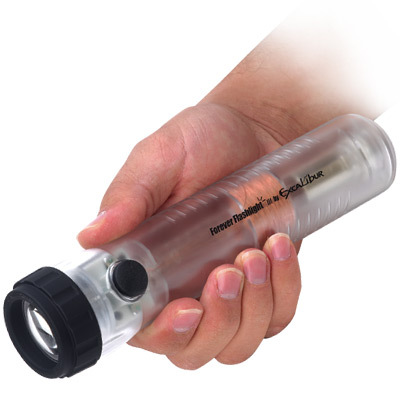 The last flashlight you'll ever need to buy... and it never requires batteries or bulbs! Just shake for 30 seconds and it provides up to five minutes of continuous bright light; super bright LED; waterproof; floats in water; Visible for up to a mile. Great for cars, boats, and all emergency kits.